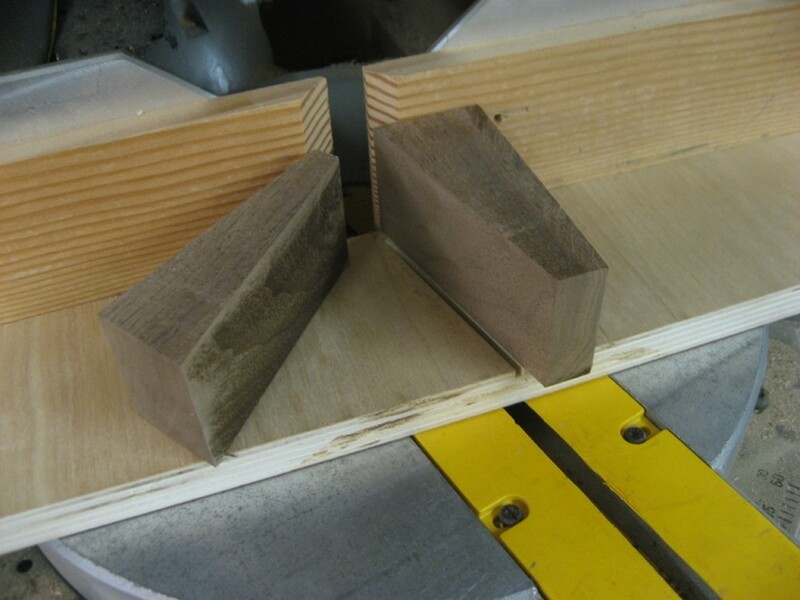 The six-foot stretcher has a tenon at each end that fits into a mortise in the leg. 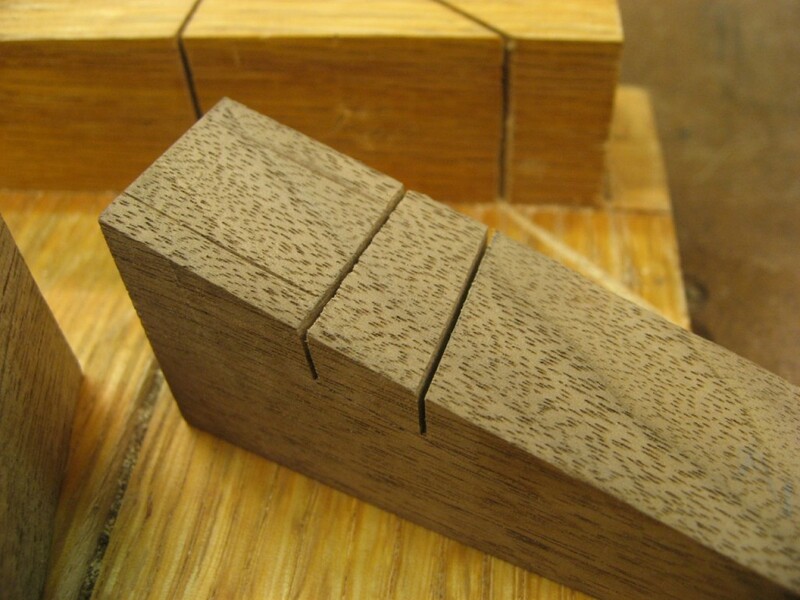 At the bottom of the tenon is a half-dovetail that fits a matching recess in the mortise (push into the mortise, then push down). 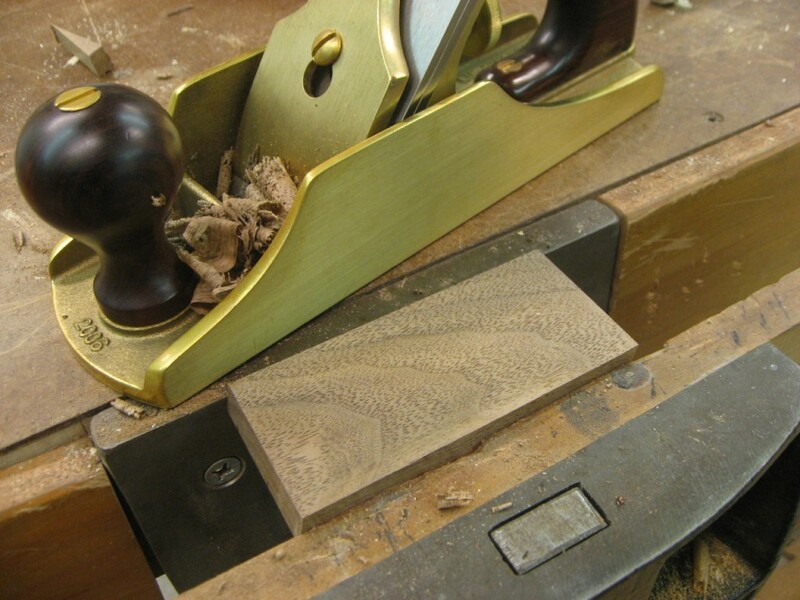 The stretcher then “locks” in with a half-dovetail pin at the top – making the whole assembly reversible. Time to make that pin. I grabbed an off-cut of the walnut used for the base. Since it was small, I screwed it to a piece of plywood to chop it at 15 degrees on my chop saw (screwing through a part to later be removed). 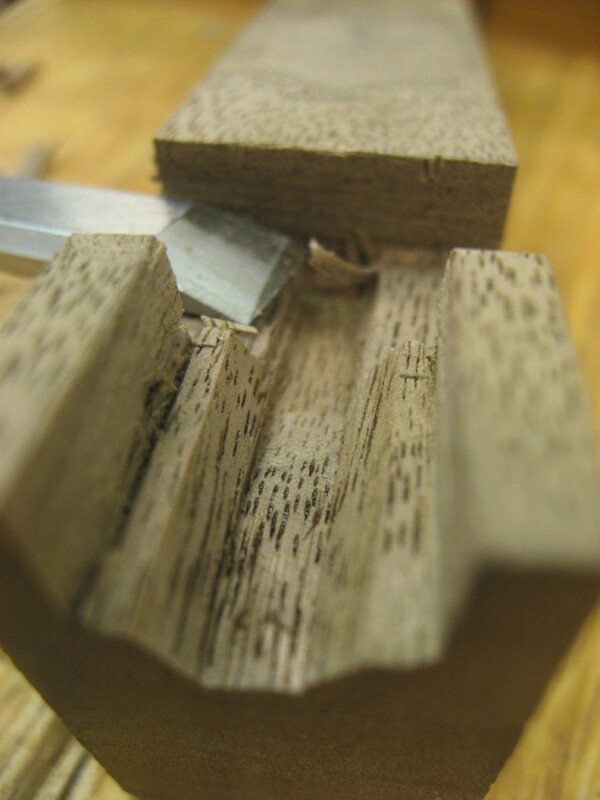 Cutting the pin at 15 degrees on the chop saw. Small piece screwed to plywood. Then time to cleanup the saw marks with my Lie-Nielsen #4. It gets really complicated to explain in a blog post, but there’s actually another small angled pin that sits on top of this one! This part holds a support piece coming from the end of the leaf to add further support to the leaf which will sag over time. So, I first mark out the small pin’s location and then make two saw cuts to define it. Now some chisel work to make a slot to accept the support piece coming from the end of the leaf! Doesn’t have to be too pretty, being all the way up under the table – I mean, it’s handmade.